This topic has 1 voice, contains 0 replies, and was last updated by TB Support 510 days ago. 1) Go to Admin > System > Design > Layouts > TB_Widgets. In the module table, add the modules you want to export. You need to enter a unique sort order for each different module. Position is of no importance. 2) Your newly exported module should appear in ‘Module blocks’ tab of the Page Builder. 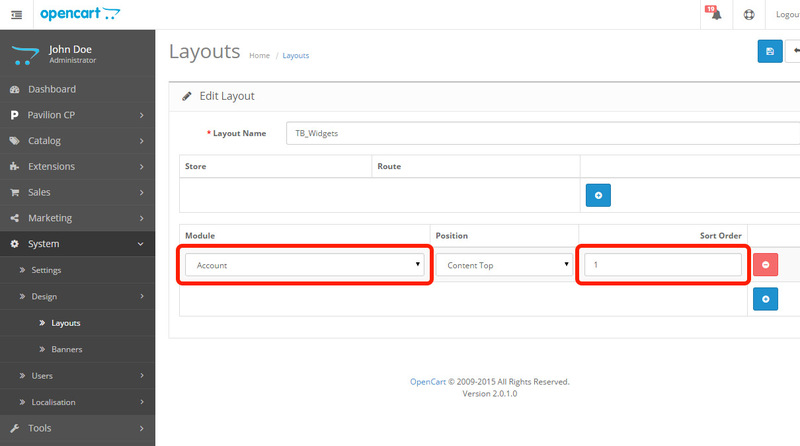 Its name is formed from the OpenCart module name and the sort order you entered while you were exporting it.